The Fire Appliance and Year 2! 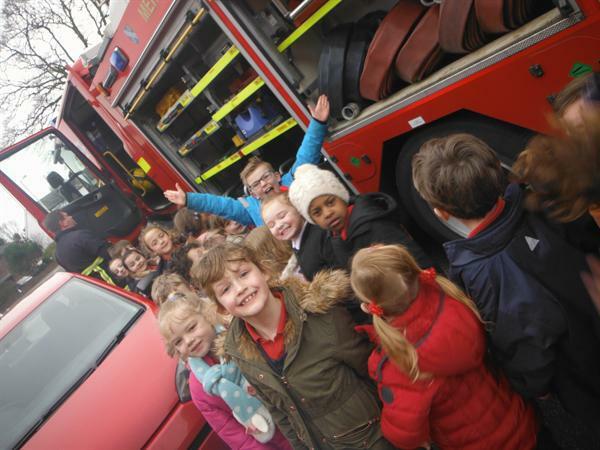 Southport Fire and Rescue had heard that Year 2 had been looking after a baby dragon! They were very concerned but when we said that Flash was no longer in our class, Steve the White Watch Manager asked us if we would like to see the Fire Appliance. The children got to sit in the cab, wear the helmet and even spray the powerful hoses! Steve and Mike came into class to answer all the keen children's questions. He made Mrs Andrews and a child try on his helmet and jacket and even gave another boy a 'firefighters lift'!